Serving your guests champagne for the toasts at your wedding can be more impressive if you start by pouring a champagne towers. It creates a memborable experience for everyone including the bride and groom! 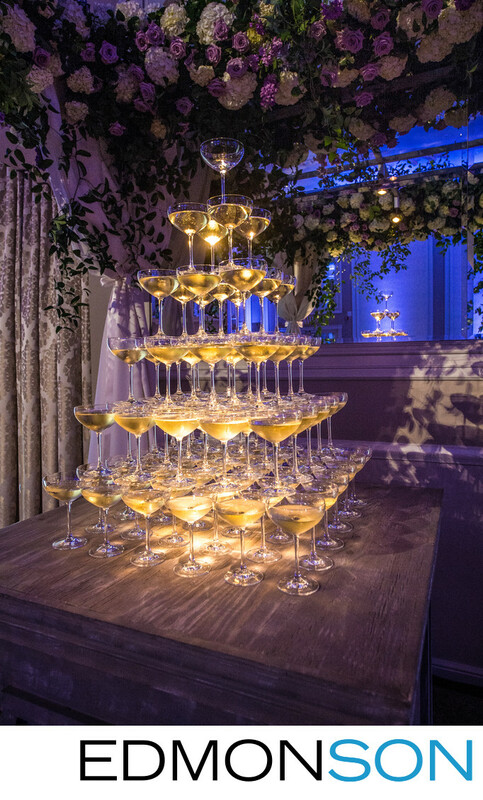 This custom tower of champagne is shown under a flower canopy created by Jackson Durham floral. The bar service is provided by The Grand Bevy and the reception held inside the Adolphus Grand Ballroom in Dallas. 1/80; f/5.6; ISO 1250; 24.0 mm.